Gutter Repair in Sacramento – Call For Your Estimate Today! Monsters Gutter Repair Sacramento offers complete gutter repair from minor leaks to complete repair in Sacramento, California and surrounding areas. Your gutter system removes rainwater, snow & leaf debris from your roof. When the system becomes damaged, clogged or is functioning incorrectly, problems can occur that can cause leaking and damage to the interior and exterior of your home. Dry rot can be one of the main issues that arise from a faulty gutter system. Monsters Gutter repair Sacramento can prevent small issues from creating very expensive restoration work. Gutter Repair Sacramento is the specialty of repairing any or all the components of your gutter system. The vital reason Gutter Repair in Sacramento can affect and protect the value of your home is it keeps water from entering your home or business. Call the Gutter Repair Experts in Sacramento today. Some common results of malfunctioning gutters include flooding and mold & dry rot growing inside your walls. You should have the Gutter Repair Company in Sacramento look to see if you have any gutter problems if you are experiencing water or mold in or on the walls. Call for your for your Gutter Repair Sacramento. We provide the highest quality service in Sacramento. Any Gutter Repairs Sacramento should be done without hesitation to prevent additional damage. A properly functioning gutter system can protect critical components of your home that are very expensive to repair. Imagine having to tear out your walls to eliminate water and mold damage. Not to mention structural damage from dry rot. A faulty gutter system requiring gutter repair in Sacramento or gutter replacement, combined with excessive rain creates wear on the exterior siding of a home, ruining paint, wood, insulation & sheetrock. Causing rainwater to seep into your home creating a server and serious issues. Rainwater not properly channeled through a gutter system can also cause foundation erosion and create canals of water in the landscaping. Call for your Gutter Repair Sacramento we are your local experts. Broken, detached gutters are an unsightly mess, and require immediate gutter repair An updated gutter system can increase the value of your home even if your current gutter system is intact. As it is one of the first things you see when you approach the house. A freshly repaired and cleaned gutter system shows that your home is well-maintained keeps it looking beautiful. Depending on your insurance policy, repaired and updated gutter system can decrease the value of your property and damage may not be covered by your insurance! As not keeping your gutters clean is often called negligence. Need Gutter Repair in Sacramento? Let us take this time to introduce ourselves as you Professional Gutter Repair Sacramento CA. We can proudly say that we are not one of the leading but the Best Rain Gutter Repair Sacramento. Anyone can clean a gutter but doing the same with total efficiency is a service that we take pride in. With our Gutter Repair Sacramento CA, you can be sure that you are getting nothing but the best. Let us start by saying that repairing your gutter is an essential part. However, you often forget to take proper care of Gutter Repair Sacramento. That is the reason we come to your rescue with our Gutter Repair Sacramento CA service. Not only cleaning but as Gutter Repair Sacramento we also have a range of other services that you would absolutely like to explore. Let tell us more about what we provide. We do not need to remind you that if the gutter in your house becomes leaky, damaged, or clogged then that is nothing short of a nightmare. As a Sacramento Gutter Repair Company, we have seen it many times. Not only that, the same is the feeling when it comes to the aspect of downspouts. Now, what is the effects that may be seen besides the constant obstruction is the passion of water. It can actually damage the furniture and installations inside your house that are expensive. The same thing can also happen with heavy rain. 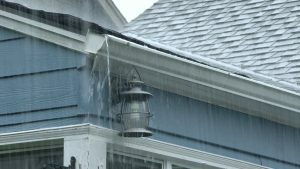 Whatever the situation is with help of Best Rain Gutter Repair Sacramento you can overcome the situation with ease. Why choose Monster Gutters as Professional Gutter Repair Sacramento CA? There are many who are in the profession and working as Sacramento Gutter Repair, then why will you pick our service among all? Well, here is a brief look at our specialty as Gutter Repair Sacramento CA that will answer this question for you. We do things by the book. Yes, there are many Sacramento Gutter Repair Companies who use cheap installation by telling you that you have to pay less. However, they turn out to be disastrous in the long run. We use authentic items for a perfect solution. As your Sacramento Gutter Repair Specialists, we ensure that we do not overlook the restrictions and work in such a manner that ensures your problem is solved in a proper manner. At Sacramento Gutter Repair Services, our relationship with our clients doesn’t end just with the cleaning or installations. We also provide Sacramento Rain Gutter Repair after sales service. Also, if it is our fault in any way then we provide you the service for free. If the root cause of your issue is initiated by any other Gutter Repair Sacramento, then also we take care of the same. When it is about the Gutter Repair Cost in Sacramento then let us begin by saying that we cannot offer you with dirt cheap price. However, as your next-door-neighborly Sacramento Gutter Repair Specialists, we offer such packages that are comfortable for you. We make sure that your Sacramento Gutter Repair Costs is not a burden for you. The combination of affordable Sacramento Gutter Repair Costs and superb service is best for you. Though our Sacramento Gutter Repair Services experts are always there to help you in time of emergency and otherwise, but there is no harm in knowing about the tips to keep it proper. This also is a way to bring down the cost of Gutter Repair Sacramento in the future. Ready to know about the tips from the experts of Monster Gutter? As mentioned by Gutter Repair Specialists Sacramento, it is essential that you keep yourself equipped with proper tools. According to the best representative of Sacramento Gutter Repair Company, the things you need to keep handy are the ladder, blade, putty knife, and work gloves. Once you are sure that the gutter is cleaned then use the water test as used by Sacramento Gutter Repair. With help of garden hose make sure that there are no obstructions. It is mentioned by the Gutter Repair Sacramento CA experts that it is essential that you have knowledge about the areas of your house that clogs the most. Gutters are designed to protect your home from water erosion which can result in damaged foundations, fascia boarding rotting along with other damage that can be caused by a poorly maintained gutter system. We are Sacramentos premier gutter repair company. If you need gutter repair Sacramento call us. Monster's Gutters specializes in professional gutter repair, gutter cleaning as well as advanced gutter protection systems. We do more than simply service your gutter needs. We are committed to providing exceptional service, we use the best quality gutter and downspout material. You are sure to have professional experience with Monster's Gutters. Call today for an estimate on any of our gutter repair services Sacramento. With help of the advice from the Sacramento Gutter Repair, you can always make sure to bring down the Gutter Repair Cost in Sacramento. If you need to repair the gutter of your house in Sacramento, you can get in touch with us by calling our office numbers. Our specialists will reach the spot as soon as possible. We also offer the service of cleaning your gutter. Why to keep your gutters clean & prevent gutter repairs? Clogged Gutters and Downspouts can cause a lot of problems and expensive damages to your property. It is recommended that you clean your gutters regularly. Doing so will prevent thousands of gallons of water from eroding away at your foundation, roof, fascia boards, and siding. A home with a 1,600 square foot roof can shed about 1,000 gallons of water for every 1 inch of rain. A 21-foot gutter can weigh up to 300 pounds when completely full of water. Large rains and clogged gutters can be a big problem for any homeowner. This will cause your gutter to fail over time resulting in costly gutter repair Sacramento! Routine maintenance and gutter cleaning can be a hassle! Prevent your self from spending thousands on gutter repairs. Call Monster's gutter repair Sacramento today for an estimate. In Sacramento we have our fair share of rain. We have excessive rainy weather at times of the year which may result in debris buildup blocking your gutters from dispersing the water to designated downspouts and drain offs. Our gutter repair professionals in Sacramento have seen it all. Whatever condition your gutters or roof are in we can fix it. We have the tools and the know how to identify weak spots on a gutter system so that they can make a suggestion as to the best solution to the problem. We will get it done quickly and perfect the first time. We provide a cost-effective solution to keep your gutter doing what they are meant to do. You can prevent Water Damage with a properly installed gutter system. Or if it is just an old system gutter repair Sacramento can be performed. We have years of experience in providing quality gutter repair Sacramento. A properly repaired gutter system will direct rainfall away from the paint on your home and the foundation, which will protect the appearance and structural integrity of your foundation. Call today and we can help to choose the best options for your gutter repair or replacement in Sacramento. We have the knowledge and experience to be able to repair and maintain you're seamless or stick gutter system Sacramento. You can rely on our team here at Monster's Gutter repair Sacramento! Our rain gutter company serves the Sacramento area. We are available to answer any questions that you may have about our gutter products and services. Monsters gutter repair is comprised of specialist that is exceptional in all things gutters. Monster's Gutter repair Sacramento will always deliver on any promises that we make and ensure that you will be given quality materials at a reasonable price. Our gutter repairs in Sacramento will help to ensure that you get the most out of your gutter system until you are ready to replace them. We take pride in our gutter repairs and services. We are an integrity and customer service driven company today. Give us a shot by letting us provide a quote on your gutter repair in Sacramento today! You will find that our prices are competitive and our staff is pleasant to work with. Monster's Gutter repair Sacramento provides the best in quality rain control systems. Our gutter repairs Sacramento, as well as our gutter installations and services, are best in the area. We have been accommodating the greater Sacramento are for many years and provide quality and professional workmanship. A complete gutter system that doesn't need any repairs and is of debris will keep many areas of your home safe from erosion and damage to the outside walls, walkways, and foundation. We've received many high ratings from our past clients that have loved our service and the quality of our gutter repair Sacramento. Be sure when hiring a gutter company that they are licensed bonded and insured. This will help to ensure that you are dealing with a legitimate gutter company who knows what they are doing. Monster's Gutter is a local gutter repair company in Sacramento who specializes in gutter repair services as well as gutter cleaning services and gutter installations. We are focused on excellent service rather than trying to give the lowest price and materials. Over 90% of our clients are referrals and repeat business. This means that every job that we do is more important than the next. The people who choose Monster's Gutter will certainly choose us again for any gutter repairs in Sacramento that they may need. And they will tell their family and friends about us. That is something that speaks all for itself.